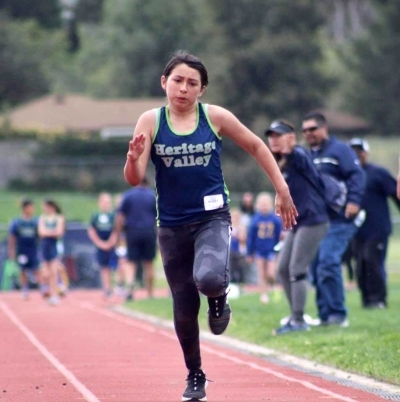 This past weekend on April 13th and 14th, the Heritage Valley Blazers competed in the two-day 10th Annual Southern California Invitational at Oxnard High School. 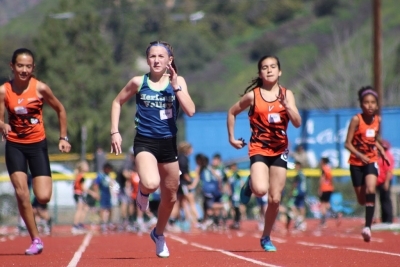 A total of 16 clubs from both Ventura County and Southern California Youth Track and Field Conference, were in attendance. 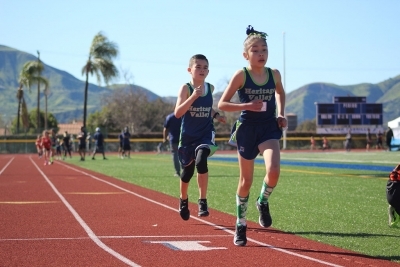 Our Blazer athletes brought home a total of 44 medals, 18 for the girls and 26 for the boys. 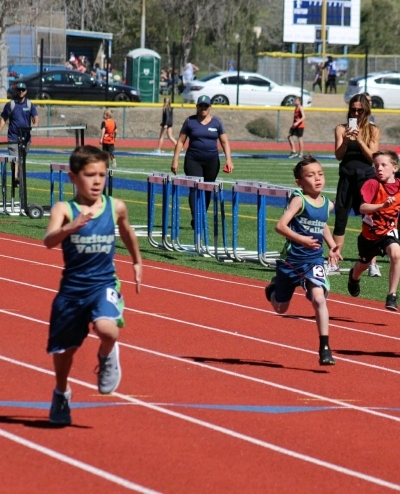 Saturday events began with the 3000's. 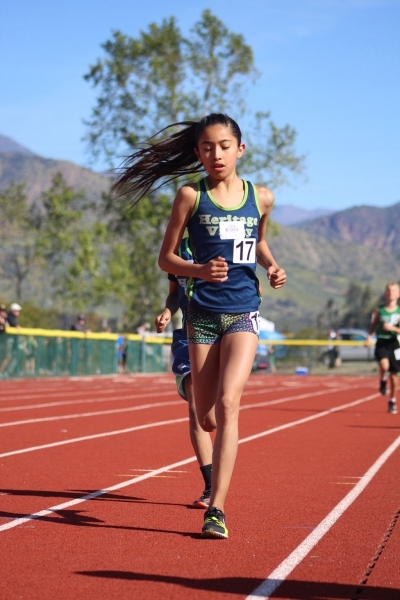 Blazer athletes Niza Laureano (11-12/girls) finished 2nd in 11.23.52; Lindsey Ramirez also finishing 2nd with a time of 10:57.10 and teammate Carolina Garcia in 3rd with 11:27.89, both (13-14/girls). 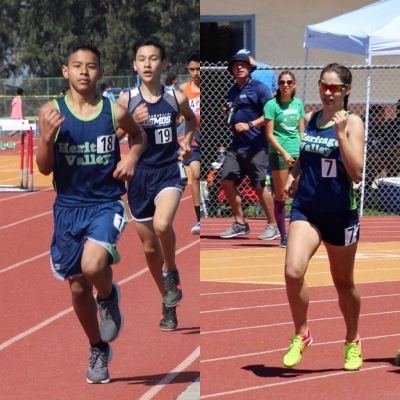 Middle distance medalist in the 800m were Paola Estrada, with a 1st place victory of 2:39.92 PR; Timothy Pillado II in his best performance and victory yet, 2:37.76 PR; Ayden Marquez, 4th in 2:42.28 PR, all in (9-10/division). 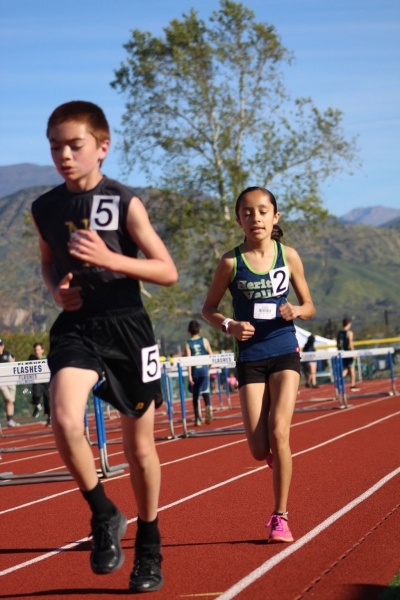 Kaliz Perez finished 5th in 2:33.43 PR (13-14/girls); and Luis Castañeda, 8th in 2:26.24 PR (13-14/boys). 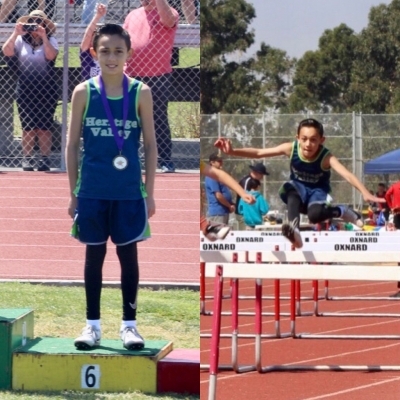 Last Saturday event was the 200m, where we saw Timothy Pillado II take 3rd in a 30.70 PR (9-10/boys); Leah Barragan, also 3rd in 29.22 PR (11-12/girls); and Josiah Guzman in 8th, 26.50 PR (13-14/boys). 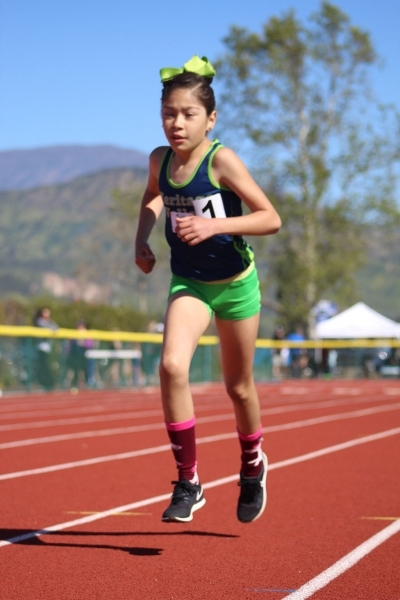 Sunday morning began on a high note with Blazer Paola Estrada's braking record 1500m run (9-10/girls) in 5:18.24. 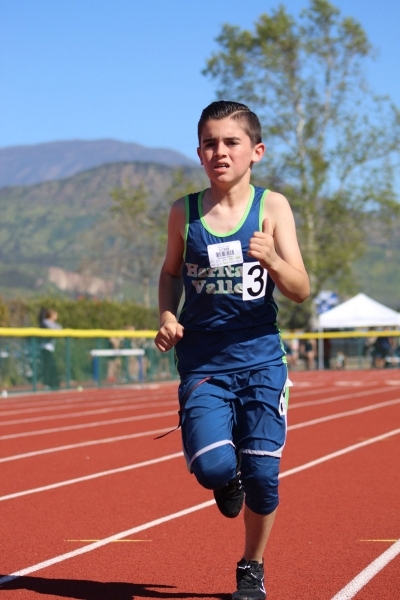 Previous record was set in 2014 with a 5:19.40. 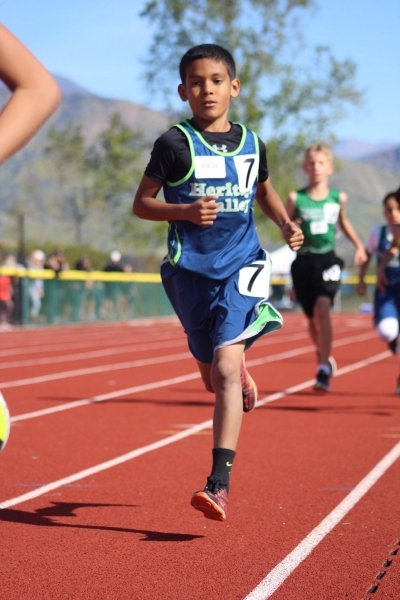 Next 1500m victory was, Ayden Marquez who ran a 5:28.36; and Abel Arana placed 7th in 5:41.52 (9-10/boys). 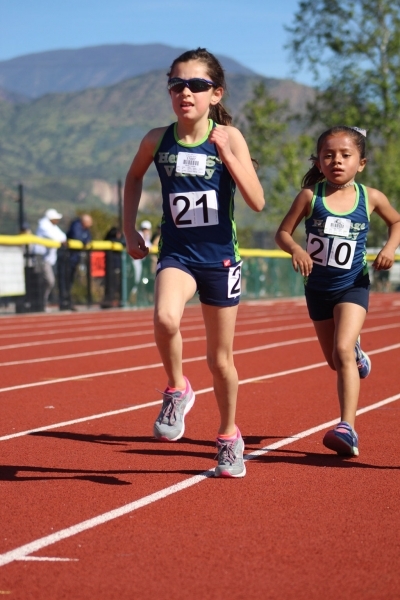 Niza Laureano, 2nd in 5:23.52 (11-12/girls); and Lindsey Ramirez 4:55.19 for 2nd place (13-14/girls). 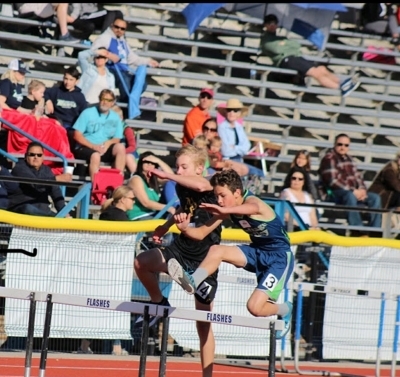 Blazer's only hurdler was Noah Halcon (11-12/boys) who made finals and medaled in 6th place with a time of 17.05 in the 80m Hurdles. 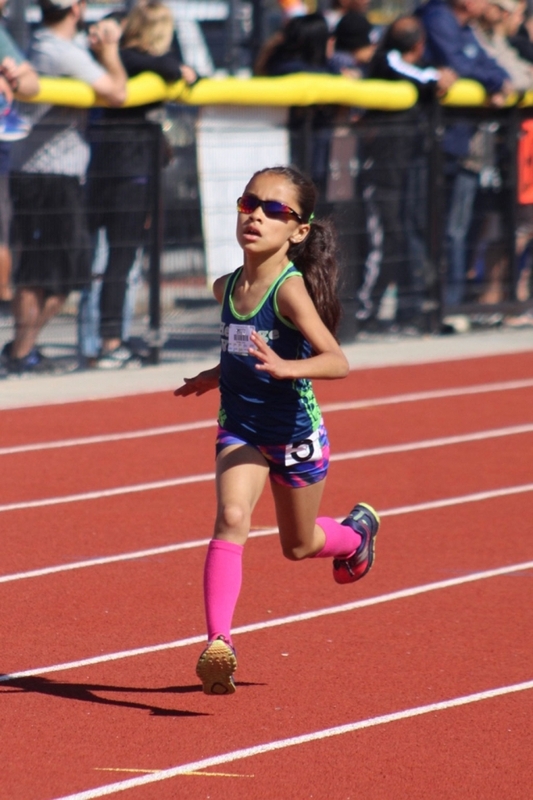 In the 4x100m relay finals, we saw Sarah Cedillos, Jasmine Gonzalez, Aliana Manzano and C'Enna Uribe take 2nd in 1:03.13 (9-10/girls). 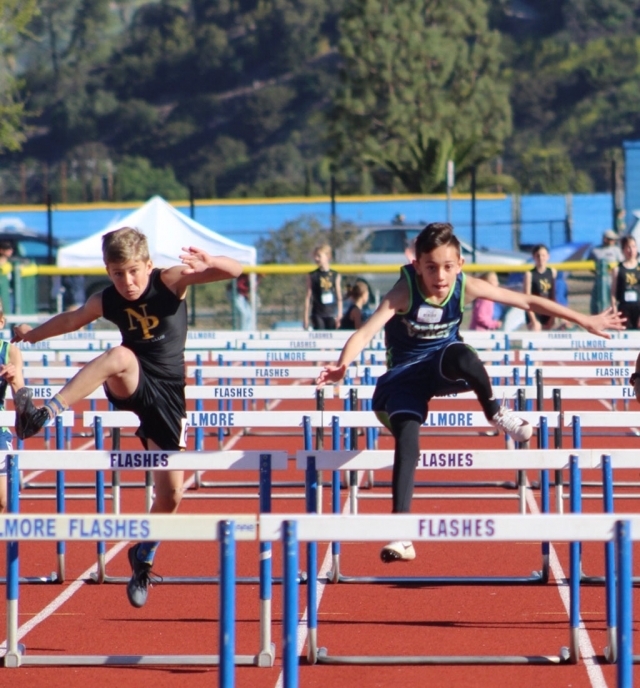 The (9-10/boys) had to fight their way back into the finals after a zone exchange DQ on Saturday. 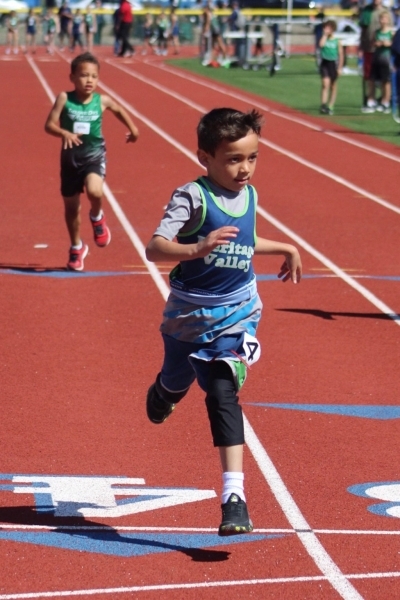 The fierce team of Isaiah Morales, Jacob Martinez, Rodrigo Castillo and Timothy Pillado II, came back faster, placing 2nd with a time of 1:00.38; Nathan Kendricks, Joseph Moore, Josiah Guzman and Nathan Garcia, placed 3rd in 52.23 for the (13-14/boys). 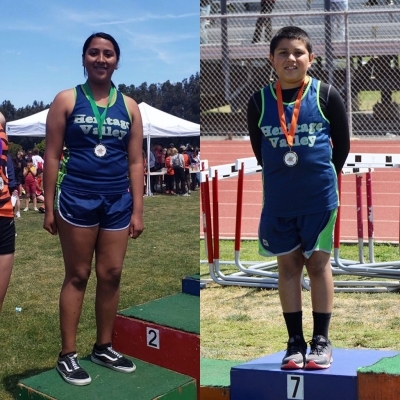 400m races saw Jasmine Gonzalez in 2nd with 1:14.04 PR and Sarah Cedillos in 5th, 1:16.18 PR (9-10/girls); Rodrigo Castillo, 2nd in 1:13.35 PR and Jacob Martinez right behind in 3rd with a time of 1:14.01 PR (9-10/boys); both girls and Rodrigo have now bumped into the top 9 spots in Venturia County; Diego Amezcua finished in 1:02.42 for 3rd (13-14/boys). 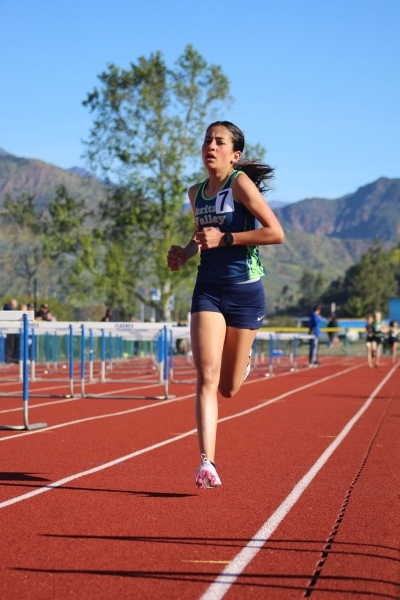 Sprinter Leah Barragan was the only Blazer athlete who made the 100m finals on Sunday. 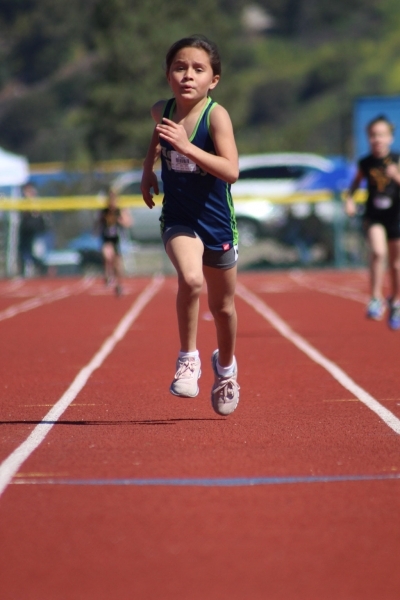 Leah's fast competition was a taste of what is in store for her at Co-Conference Championships in May. 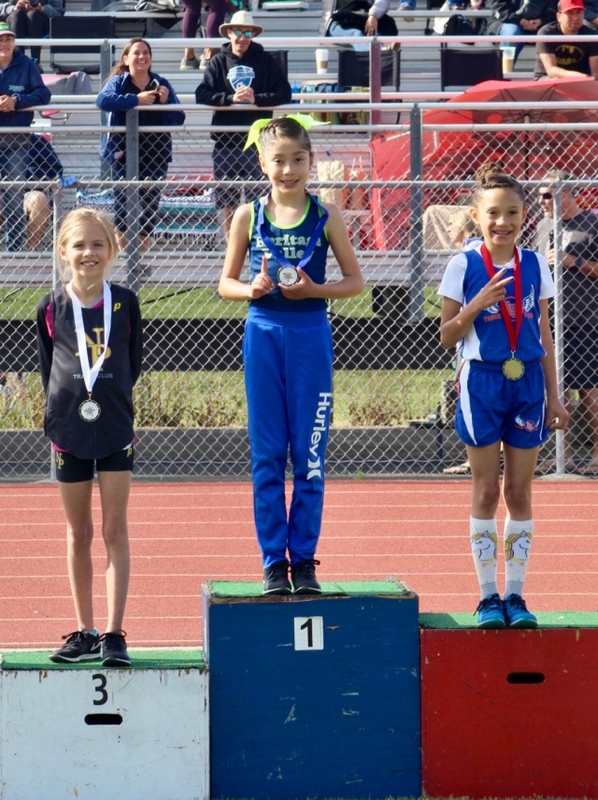 She medaled in 4th place with a time of 14.13 (11-12/girls). 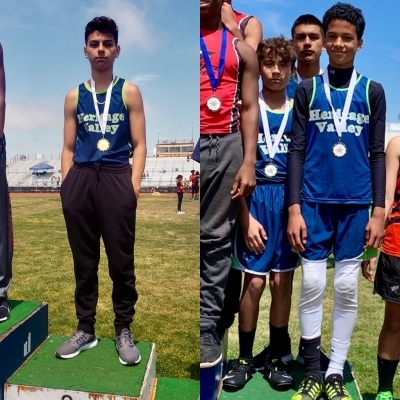 Our (13-14/boys) 4x400m relay team, was ran by Luis Castañeda, Joseph Moore, Eric Morales and Nathan Kendricks, who represented in 3rd with 4:13. 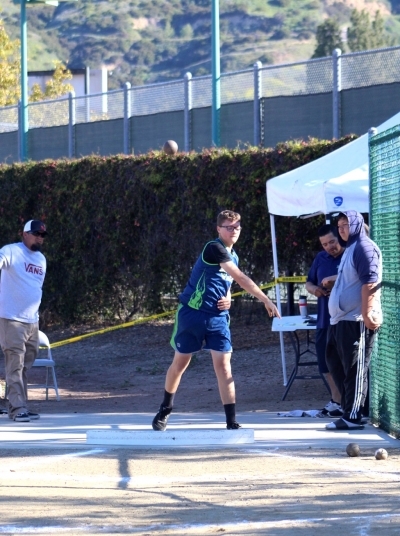 In field events, shot putters Carlos Esquivel, threw a PR distance of 18-04 for 5th place and Emanuel Velasquez pushed his 3' PR into the top 9 Ventura County spots with his 7th place throw of 17-01.50 in (9-10/boys); first time Blazer athlete Kaylee Riedmiller threw 24-04 PR for 5th (11-12/girls); Nathan Alcantar, 2nd with a 29-06.50 PR (11-12/boys); and Celeste Velazquez, throwing 30-08 for 4th (13-14/girls). 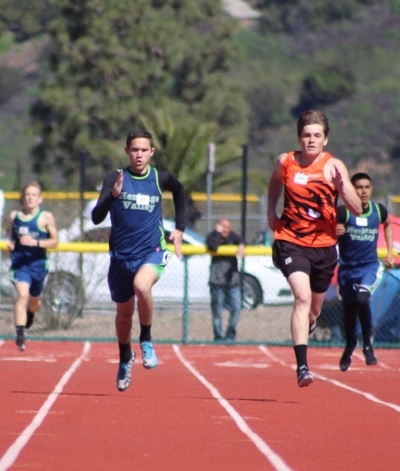 Blazers compete away on April 20th, in what will be their fifth meet of the regular season against the Oxnard Stars at Oxnard High School. GO BLAZERS! 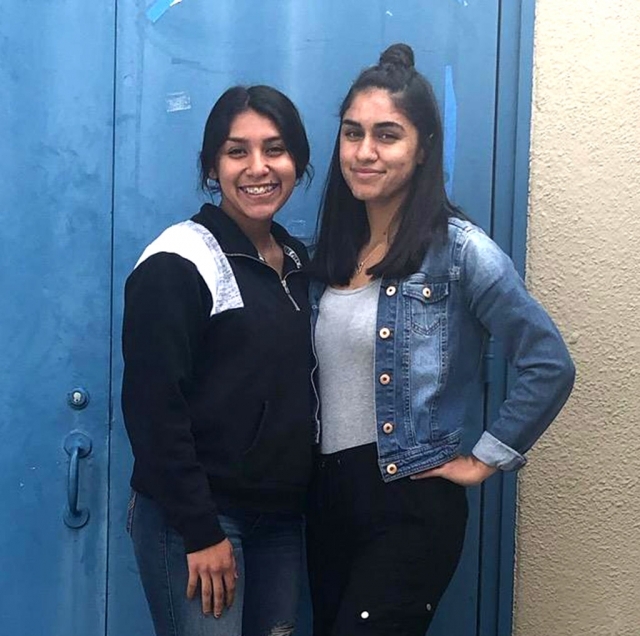 The Fillmore Girls Varsity Swim Team made CIF consideration in the 200 & 400 free relays at last week’s event in Santa Paula. 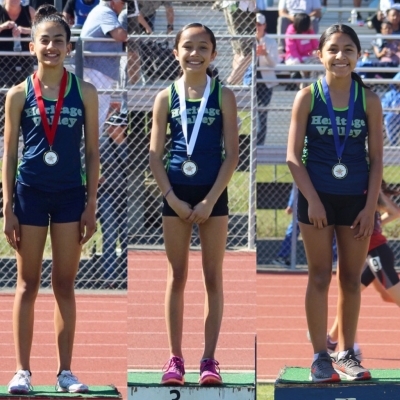 Pictured (l-r) are Erin Berrington, Jasmine Gonzalez, Daisy Santa Rosa, and Katrionna Furness. 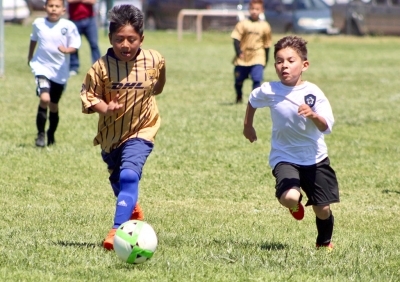 Pictured is a California United player from the 2010 boy’s team as he and a fellow teammate try to get past the Fusion/White defenders in Saturday’s game. 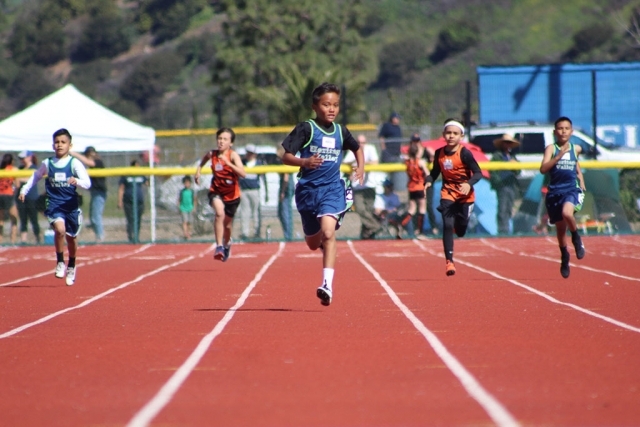 Photos courtesy Erika Arana. 2011 Girls California United 1-2 Pumas CU, Goal: Amilia Tobias, Overall Record: 1-1-1. 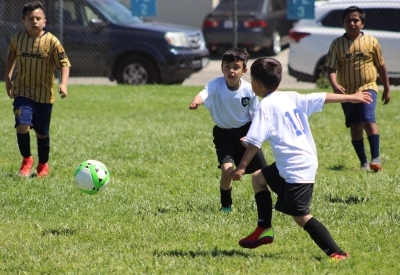 Game #1 - 2010 Boys California United 2-2 Fusion/White, Goals: Nathan Lepe, Assist: Jose Magaña. 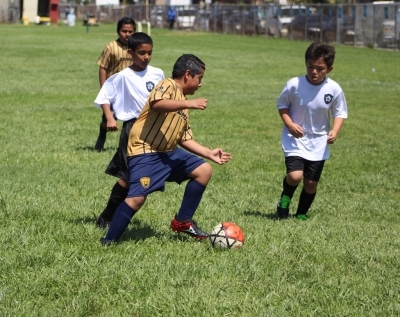 Game #2 - 2010 Boys California United 1-2 Pumas CU, Goal: Nathan Lepe, Assist: Abel Arana, Overall Record: 1-3-1. Game #1 - 2008 Girls Bronze Blue California United Blue 0-3 California United FC Black. 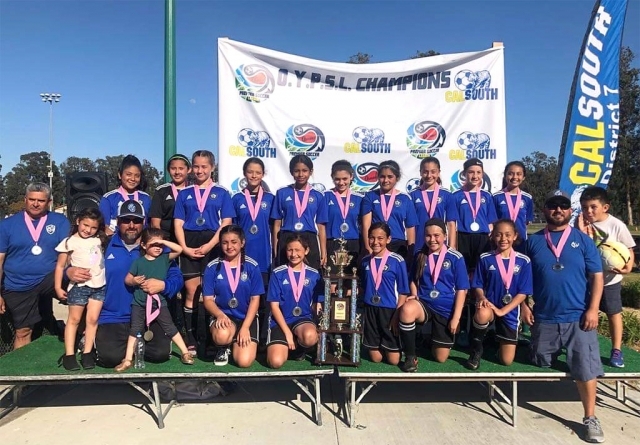 Game #2 - 2008 Girls Bronze Blue California United 6-1 Ventura County SC, Goals: Jazleen Vaca 1, Lizbeth Mendez 2, Alondra Leon 3 (Hat Trick), Assist: Jazleen Vaca 2, Valerie Rubio 1, Lizbeth Mendez 1, Overall Record: 4-2-0. 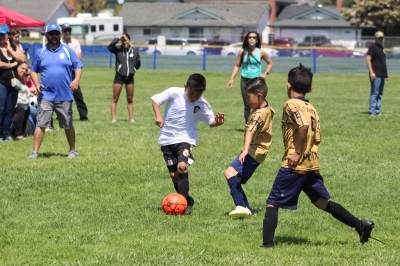 Game #1 - 2008 Girls Black California United Black 3-0 California United FC Bronze Blue, Goals: Stephanie Mora 2, Hiedi Zamora 1. Game #2 - California United 3-0 Royal Pumas, Prisha Kanji 1, Kaya Haddox 1, Hiedi Zamora 1, Assist: Prisha Kanji and Stephanie Mora, Overall Record: 4-1-0. 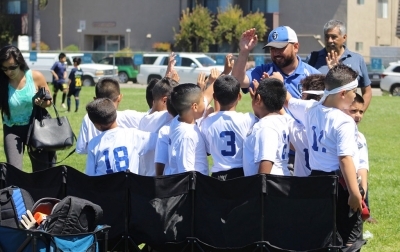 - 2008 Boys California United 1-0 Oxnard United, Won by default team failed to show, Overall Record: 5-0-1. Shutout: Gabriela Martinez, Overall Record: 4-2-0. Pictured is Flashes player #3 Alyssa Ibarra as she steps into the batters box to face the Thousand Oaks pitcher. 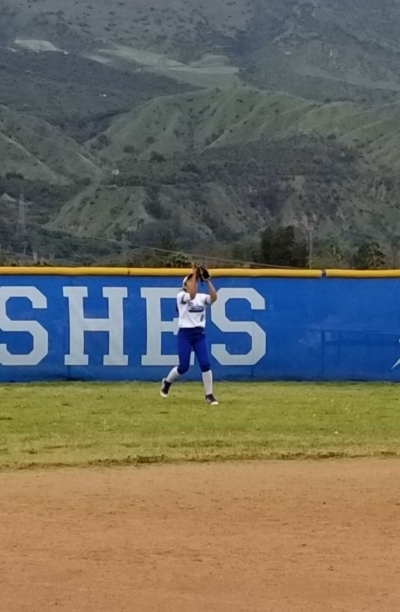 Fillmore Flashes Varsity fired up the offense in the first inning, when Tatiana Werts homered on the first pitch of the at bat, scoring three runs. Thousand Oaks pulled away for good with two runs in the third inning. In the third Madison Wilson singled on a 0-1 count, scoring one run. Zoe Ballen was in the pitcher's circle for Thousand Oaks. 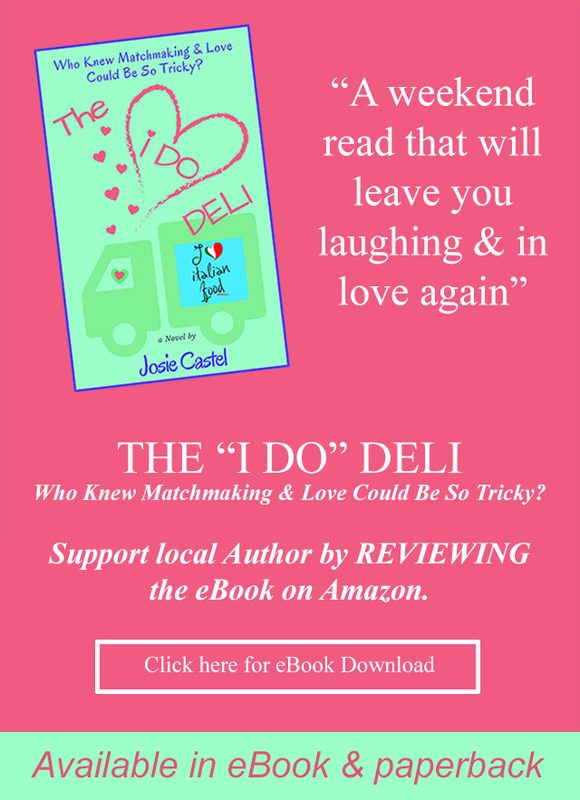 She surrendered three runs on four hits over seven innings, striking out nine and walking one. 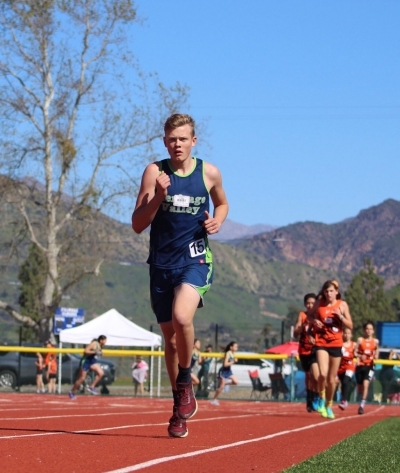 Werts was on the rubber for Fillmore Flashes Varsity. She surrendered five runs on 13 hits over seven innings, striking out three and walking zero. Fillmore Flashes Varsity tallied one home run on the day. Werts had a long ball in the first inning. 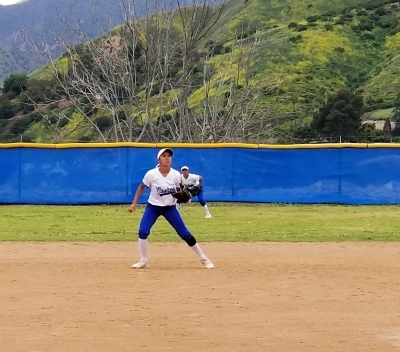 Ebony Venegas led Fillmore Flashes Varsity with two hits in three at bats. Thousand Oaks racked up 13 hits in the game. Alexa Pollara, Ballen, Savannah Graham, Wilson, and Lindsey Archer all managed multiple hits for Thousand Oaks. 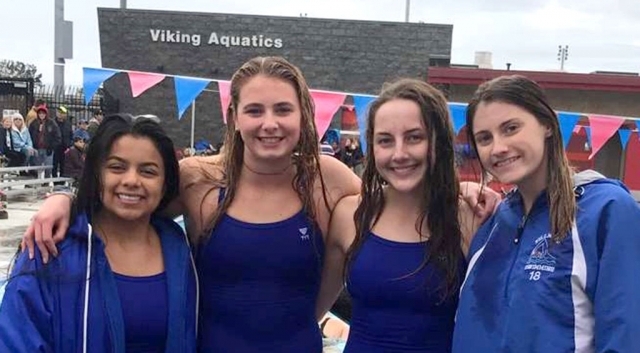 Last week the FHS Swim Team competed at the Ventura County High Swim Championship. 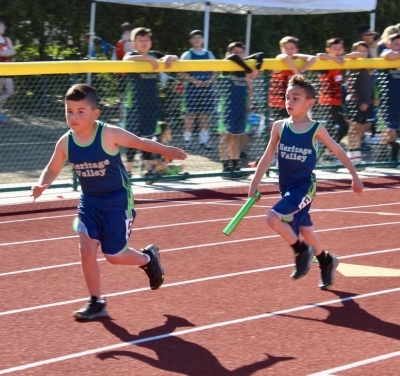 Pictured are some Flashes in the midst of their race while their teammates cheer them on. Photo courtesy Katrionna Furness. 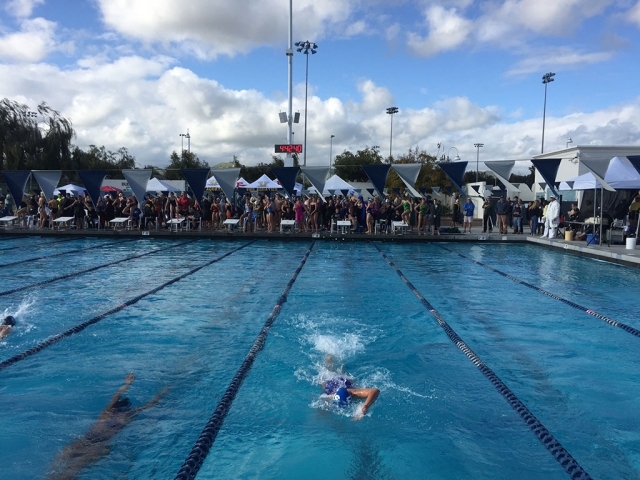 Fillmore Varsity Boys and Girls participated in the very competitive Ventura County High School Swim Championships last week at the Ventura Aquatic Center. 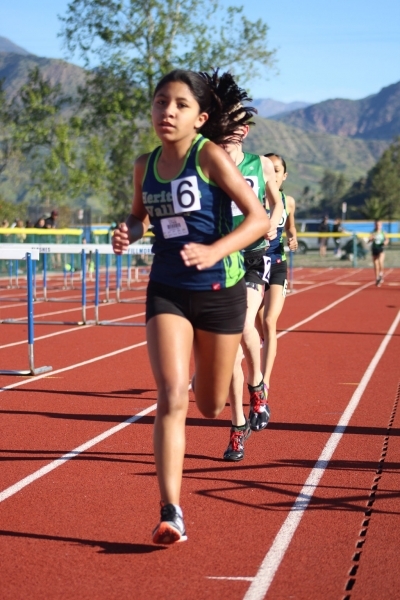 Varsity Girls placed tied for 12th (out of 17 teams) beating Buena, Santa Paula Channel Islands and St. Bonaventure. Kat Furness placed second in the 50 yd. 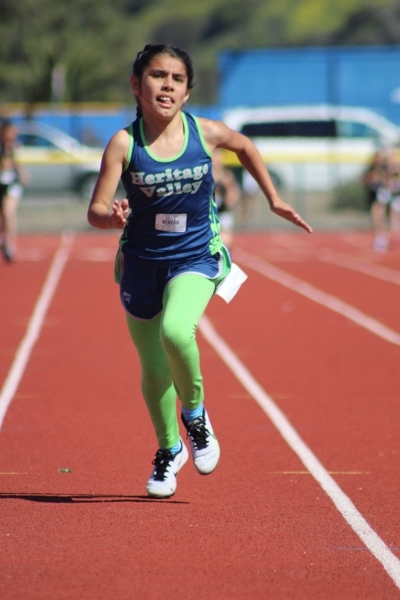 freestyle with a personal best time & new school record and she placed third in the 100 yd. backstroke. The Varsity Girls 200 yd. 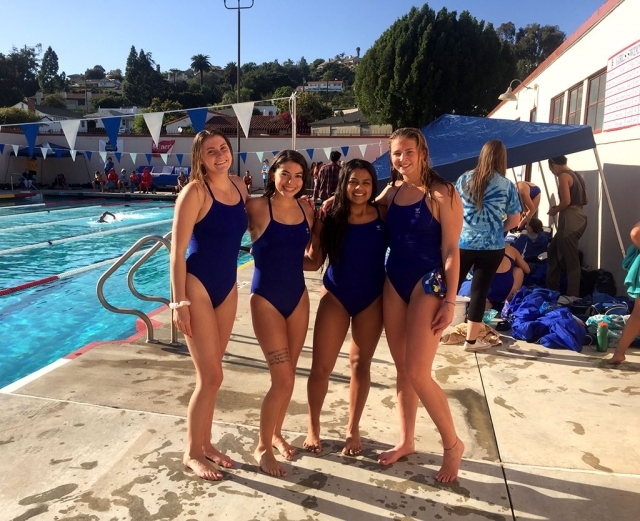 Medley Relay swim to a CIF Consideration time (Kat Furness, Yazmeen Gonzalez, Karen Trujillo & Zoe Avila). 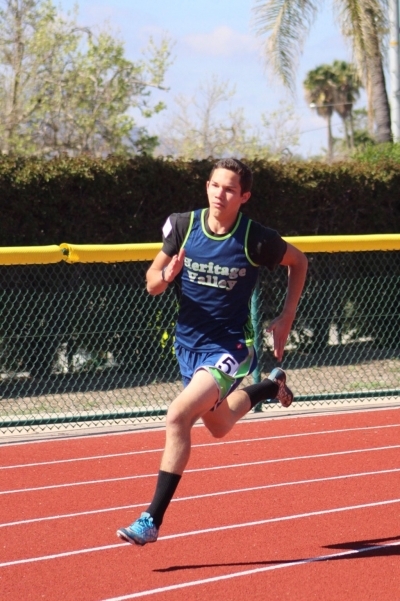 They also swim to a CIF Consideration time in the 200 yd. Freestyle Relay (Zoe Avila, Natalie Couse, Yazmeen Gonzalez & Kat Furness). Varsity Boys placed 15th out of 17 teams beating Villanova and St. Bonaventure. All the boys swim well especially the final swim in the 400 yd. Freestyle relay dropping 14 seconds from their time. 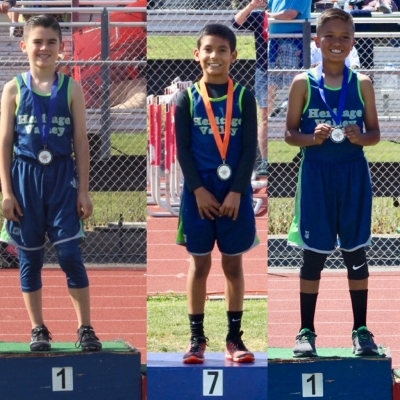 (Ricky Cadena, George Mooradian, James Chandler & Ethan Gray). 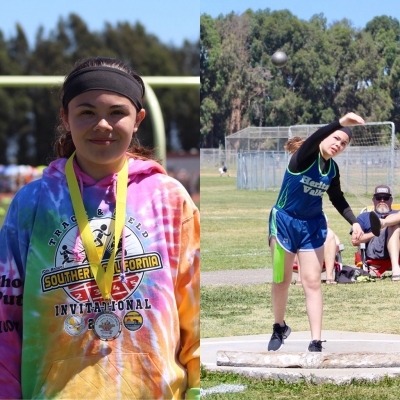 Fillmore High School Senior Andrea Marruffo participated at the Ventura County vs L. A. County Senior All Star Game on Friday, March 8, at Oaks Christian High School. 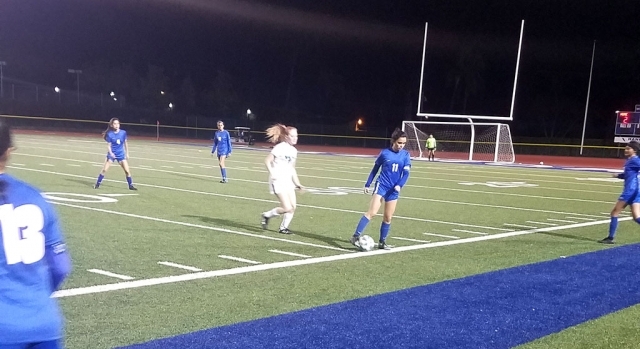 Andrea saw 40 minutes of game time in the 80 minute game where Ventura County came up on top in a close game with a score of 1-0. Way to go Andrea!!! Photo courtesy Coach Omero Martinez. 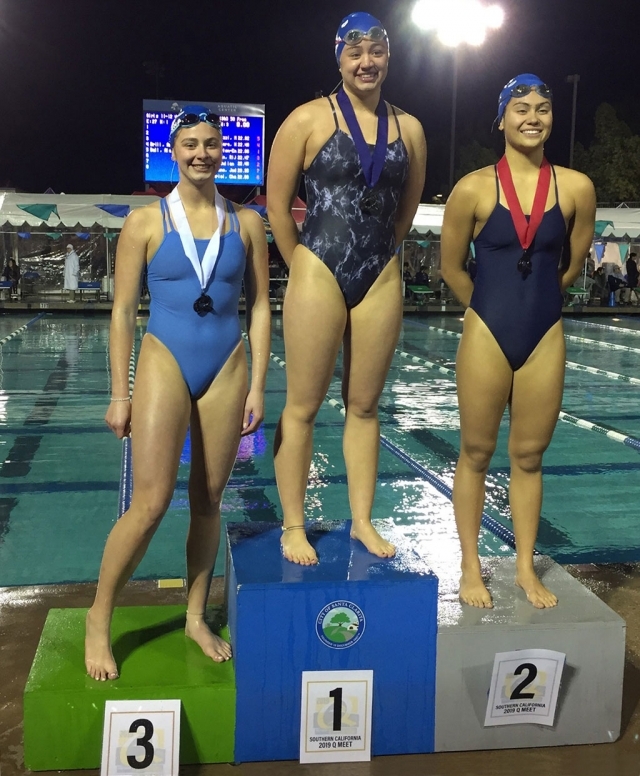 Fillmore High’s Katrionna Furness took 1st place in the 50 yard free prelims with a 25.33 time, and 3rd place (above) in the finals with a 25.50. 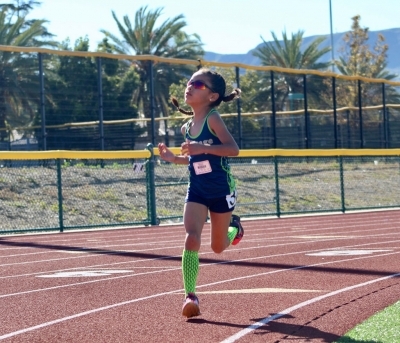 The Q Meet was held at the Santa Clarita Aquatic Center, where Kat swam with her club team, Bueanaventura Swim Club. 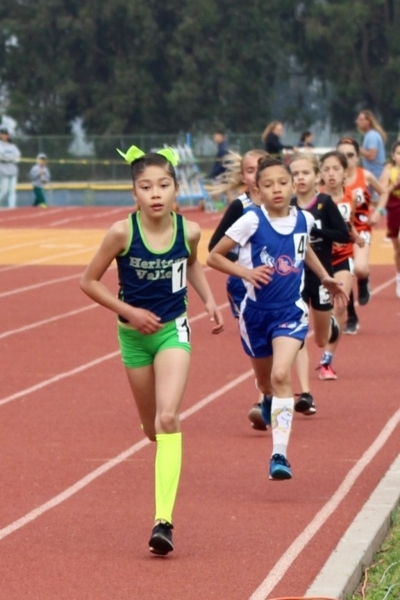 About a thousand girls participated in the February 16-17 meet. They’re Back in the Pool! 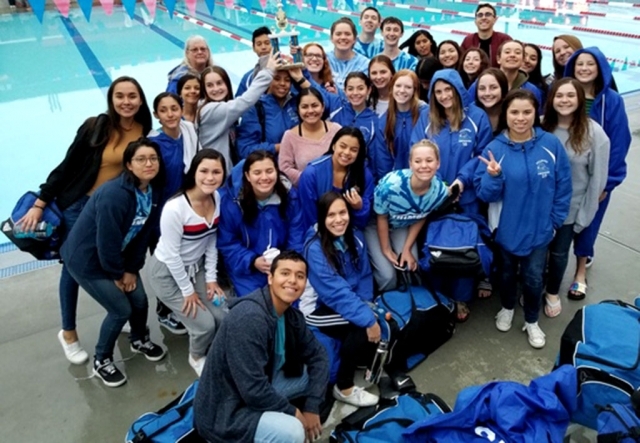 Fillmore High Swim Team attended their first meet at Hueneme High on Friday, March 1, 2019. 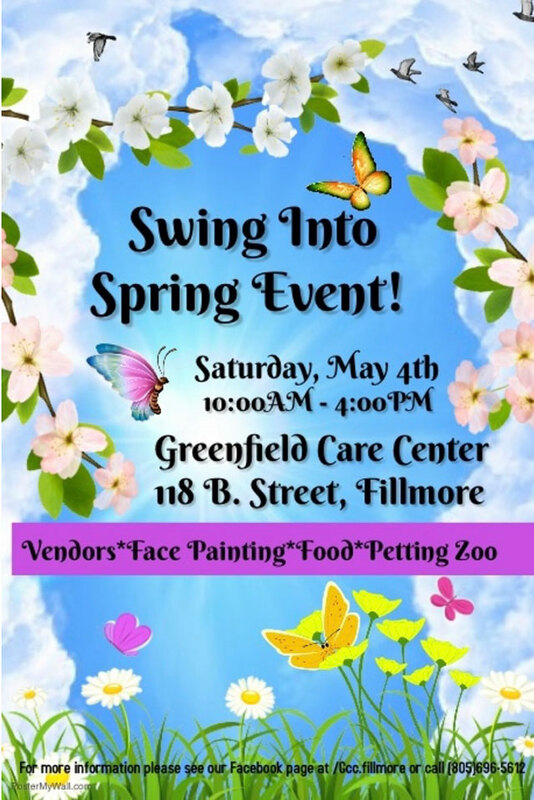 Fillmore High took 3rd place overall. 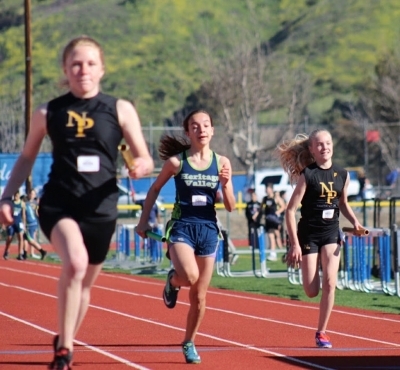 Pictured (l-r) is the Fillmore High Girls Relay Team: Daisy Santa Rosa, Katrionna Furness, Natalie Couse, and Erin Berrington. 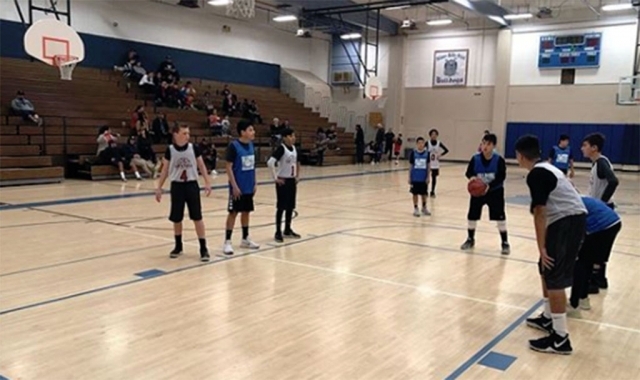 This past weekend at the Veterans Memorial Building, the Fillmore Youth Recreation Basketball Program participated in the End of Season Pizza Party, official last games of the season, and the Fillmore vs. Santa Paula Recreation Program Basketball games! 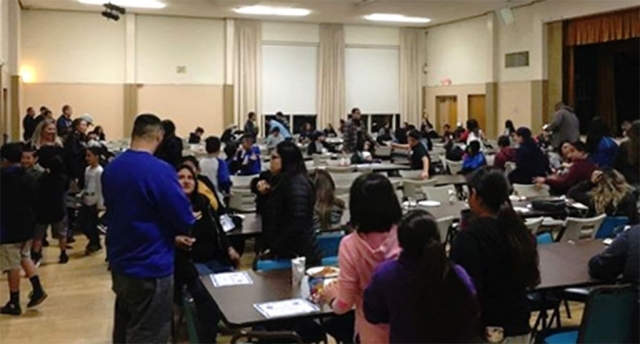 For the record, all of Fillmore’s Youth Recreation Players that we’re able to attend the pizza party on Friday had a great time we hear! 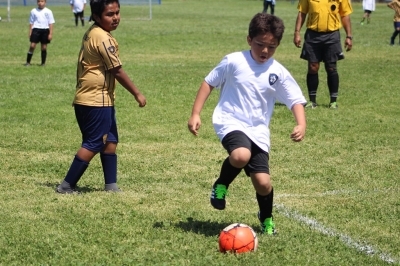 Saturday February 23rd was full of excitement as the last official games of the season were played & on Sunday. 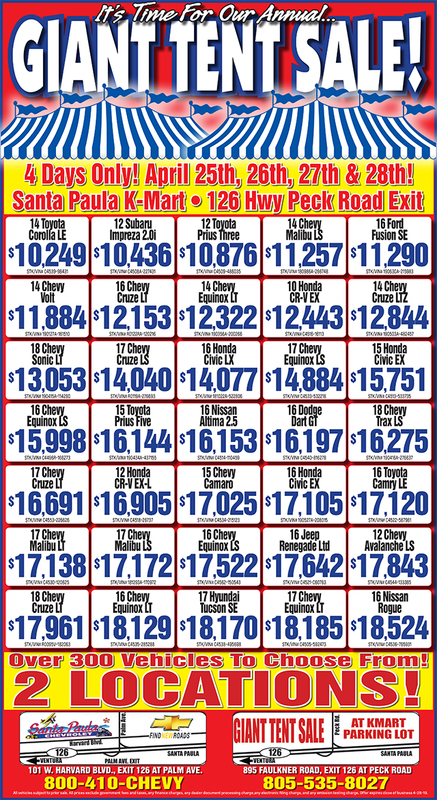 Santa Paula came to Fillmore. 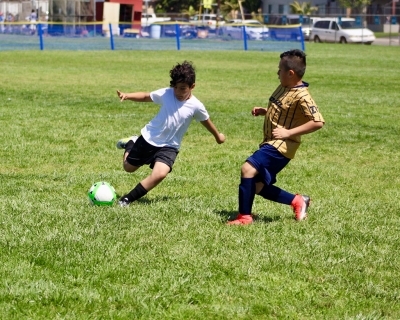 Fillmore won all games against Santa Paula on Sunday, but at the end of the day, all children who played in those games showed sportsmanship & had a morning of fitness. 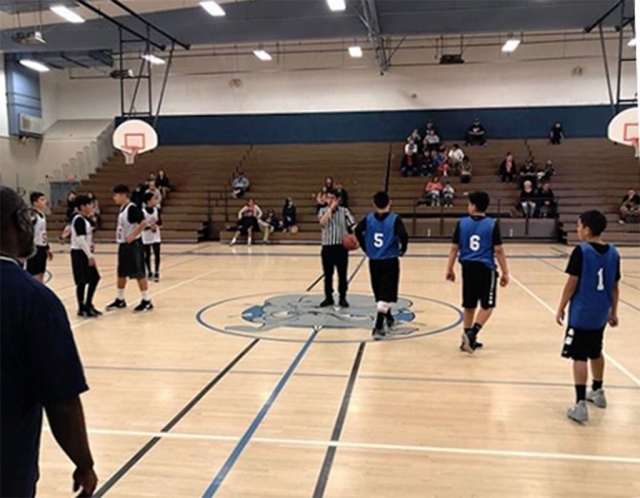 This Sunday, March 3rd, will be the all-stars games at Fillmore Middle School Gym starting at 9am. 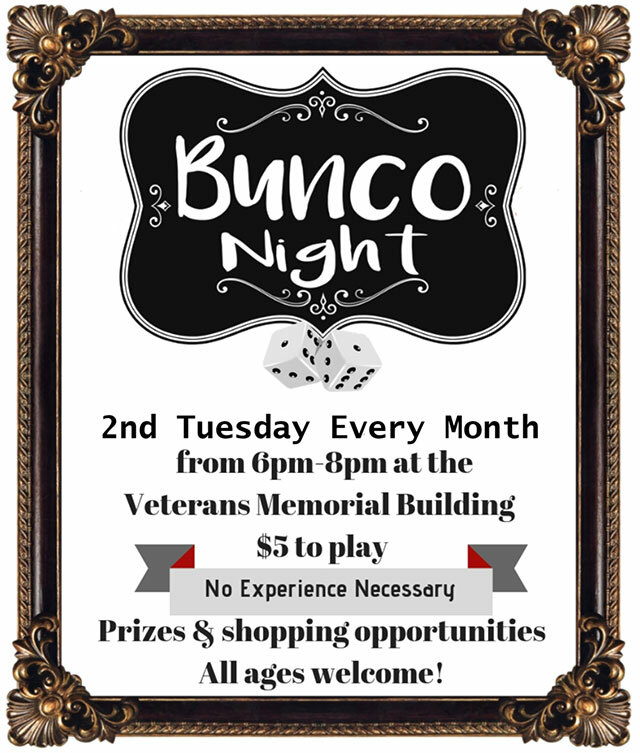 Be sure to go show your support to the youth this Sunday. 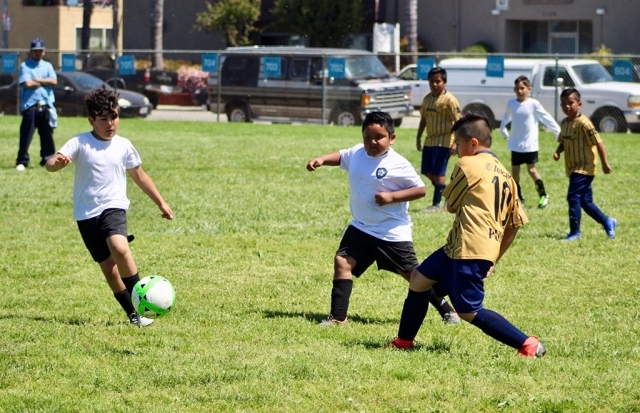 Photos courtesy City of Fillmore Instagram page. 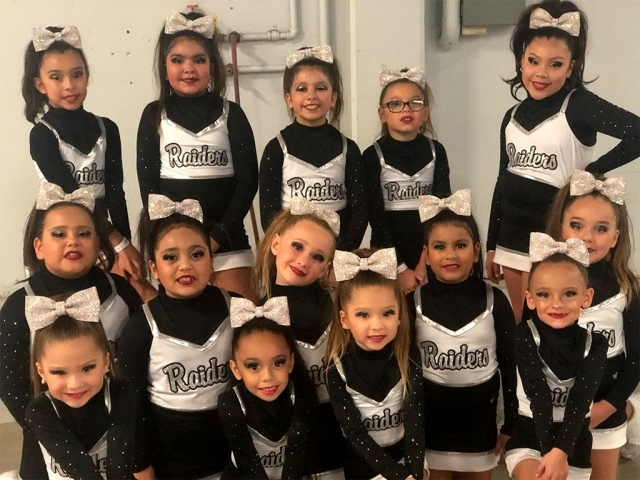 Pictured is the Fillmore Raiders Youth Cheer Team which competed in the State Championship in Bakersfield, hosted by JAMZ. The team took 2nd place in the Division 10 Showcheer 1 limited. Photo courtesy Xilo Ochoa. 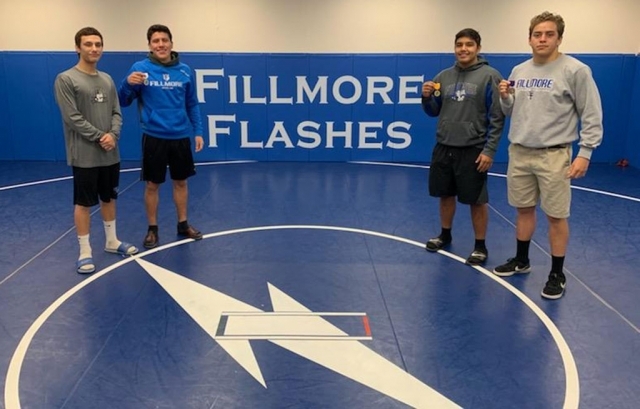 On Friday-Saturday, February 8 -9 2019, Fillmore wrestlers competed in the Individual SSCIF Wrestling Tournament at Citrus Hill High School in Perris, Ca. 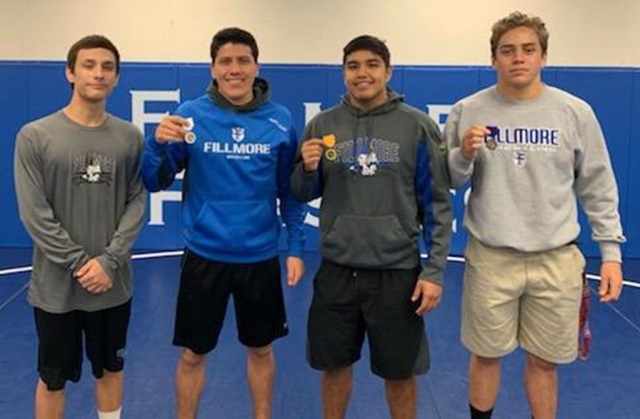 Nine Fillmore wrestlers qualified to compete and took 4th place and 2nd moving on to Masters on February 15 – 16 at Cerritos Community College. Pictured (l-r) are Marco “Tony” Ochoa 8TH place at 126 lbs; Abraham Santa Rosa 3rd place at 160 lbs; Adrian Bonilla 5th place at 195 lbs; and David Rivas 6th place at 182 lbs. 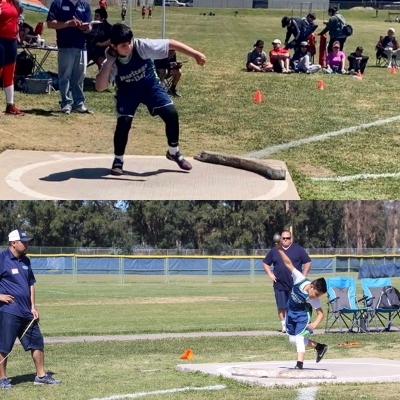 Abraham and Adrian moved onto Masters. 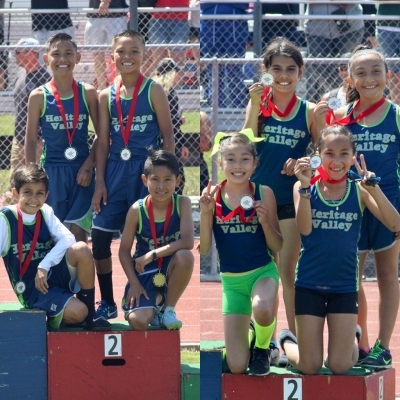 Photos courtesy Coach Jorge Bonilla. Thursday February 7th the Flashes played in the first Round CIF Game Flashes fell short with a final score of 1- 3 Culver City. Goals: Yobany Figueroa 1. 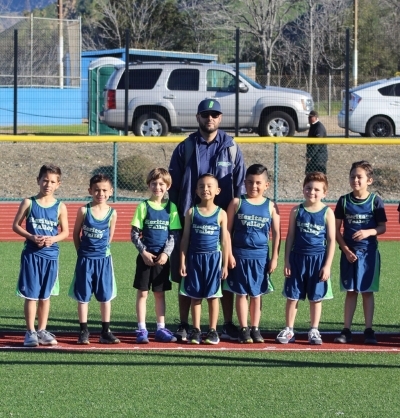 On January 25th the Flashes hosted the Malibu Sharks and beat them with a final score of 7 – 0. 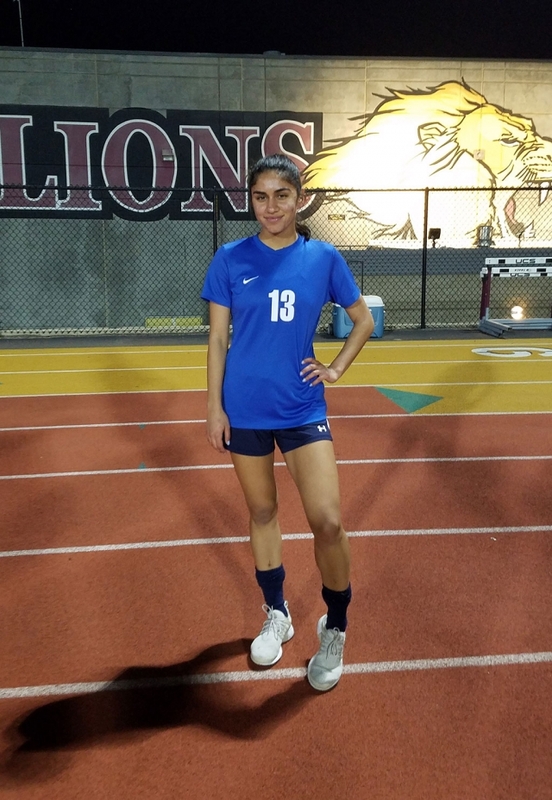 The Flashes were led by Andrea Marruffo with 3 goals, 3 assist, Ana Covarrubias with 2 goals, 2 assist and Aaliah Alfaro, Breanna Lopez with goal each. 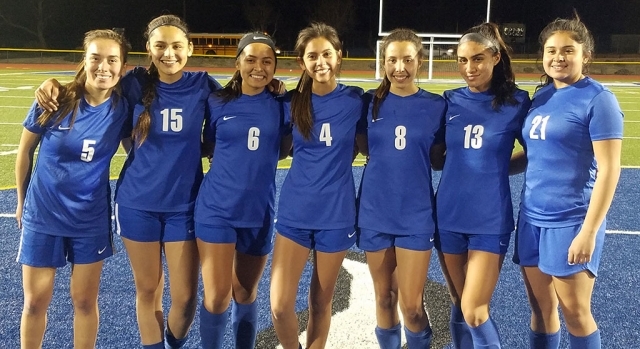 Also the Lady Flashes recognized 7 seniors this year pictured above (l-r) seniors Breanna Lopez, Susie Garcia, Cecilia Cisneros, Sophia Garibay, Aaliyah Alfaro, Andrea Marruffo and Aaliyah Lopez. Thank You lady’s for all the memories. Submitted by Head Coach Omero Martinez.